This goes back to my first ever post on this blog. 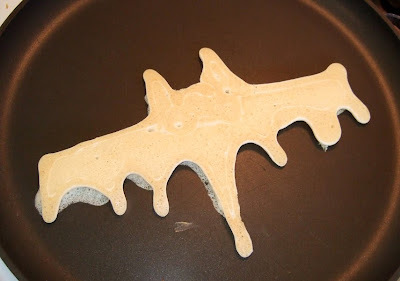 Back in May 2008 I started Filth Wizardry by writing a post on the pancake art that the kids loved so much. I think I posted a fish, a pirate ship and a few others. Putting pancake batter in a baggy and snipping a hole in the corner to pipe it out of certainly wasn't my idea. Many many people have done it for years and years, but I thought I'd write a quick post now to show you the spooky ones we've done. 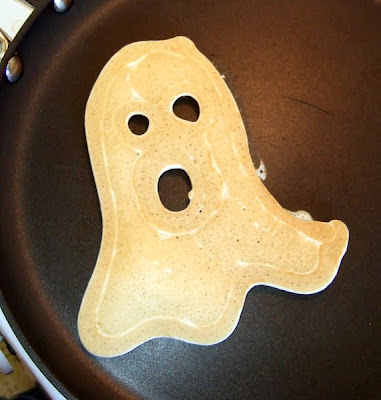 Seeing as halloween is on a weekend this year, taking the time for some spooky breakfast might be fun! I picked up a couple of mustard squeezy bottles from a thrift store in anticipation, because the kids will be able to make their own that way (the baggies approach is a bit awkward for really young kids) Just make sure that there are absolutely no lumps in your batter or the nozzle of your bottle/hole in the baggy will clog and be very frustrating. I'm guessing if you have the equipment for piping icing then that would probably do the trick too. We're going to add orange food colouring to our batter I think, or maybe purple? Green sounds a bit bleugh though. I mentioned in that first post that you could write your name in a pancake. Much later I posted an example of that at the end of this post if you are interested. These are AWESOME! The spider web is especially impressive! 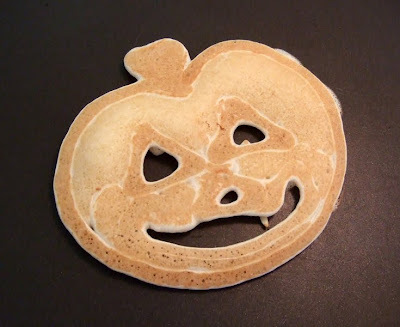 I adore your Halloween Pancakes, and although you say many people have done this pancake art for many years, this is the first time I have seen it... and it's brilliant! Brilliant idea...I love it...Happy Halloween! Awesome pancakes! I might have to try something similar for Christmas! 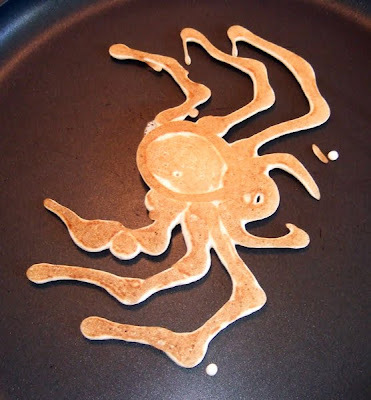 If any of you do try some pancake art and blog about it, then please do let me know! 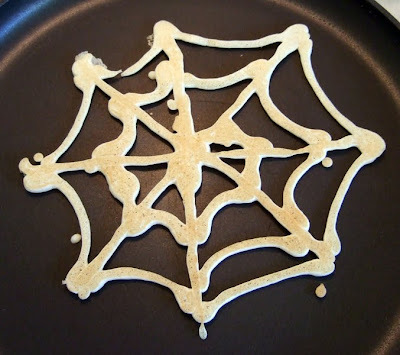 I'd love to see some other interesting looking pancakes and can update the post to link to yours.